The installing, sale and leasing of onboard navigation makes the backbone of NauticSupport. NauticSupport is unique in this aspects and offers the solution to all problems sailers are now dealing with, either professional or not. Nauticsupport has all the expertise meaning that our clients only need to deal with us. In this way you can be convinced beforehand that you will get a system that always works. 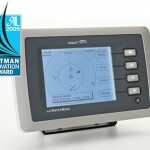 NauticSupport delivers turnkey onboard navigation computer systems equipped with the latest technology. One of the main problems for most sailers is that they must have knowledge of many things, and with the current rate of progress, it is also difficult to completely learn about all possibilities of ​​onboard computers and navigation . 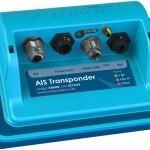 As an example, it is quite a task to setup nautical peripherals such as a GPS and AIS together with computers, navigation software and digital maps. And this only works if all the components interact well with each other. The “TomTom” on the water. At NauticSupport you can buy, rent or lease a board computer or a navigation system at a reasonable rate.